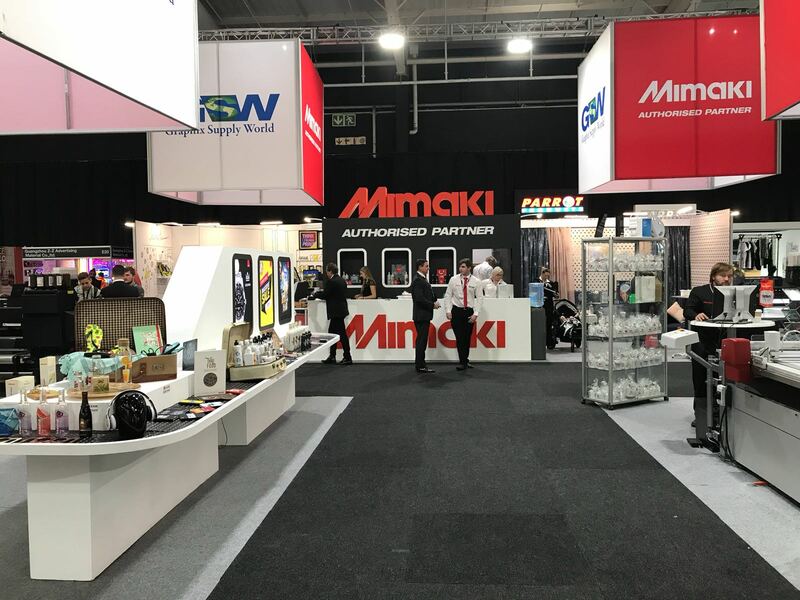 The Mimaki JFX500-2131 employs UV LED printing technology, which does not generate excessive heat, allowing the machine to print directly on a wide range of substrates, including heat-sensitive materials, without any media deformation. Aqueous or solvent inks require post printing drying. This is eliminated using UV technology and consequently, the media is ready for laminating immediately after printing. The job turnaround time from printing to processing is shortened and improves work efficiency and productivity. Equipped with the new developed print head (6 print heads with 3 staggered configuration), the JFX500-2131 achieves production speeds of up to 60sqm/h. The JFX500-2131 includes two units of Mimaki’s unique and highly-accurate linear scales controlled by an Intelligent Microstepping System (IMS) for fine step accuracy and dot placement. This results in less banding and the ability to print down to 2-point text with stunning clarity. High image quality is achieved by utilising a resolution up to 1200 x 1200 dpi and variable dot sizes. The minimum drop size is an fine 7 pico-liters that produces a smooth, natural gradation without granular appearance even in 4-colour mode. Two types of ink are offered with the JFX500-2131. The newly formulated LUS-150 ink offers less curing times resulting in a less tactile sticky feeling and it is flexible up to 150%. 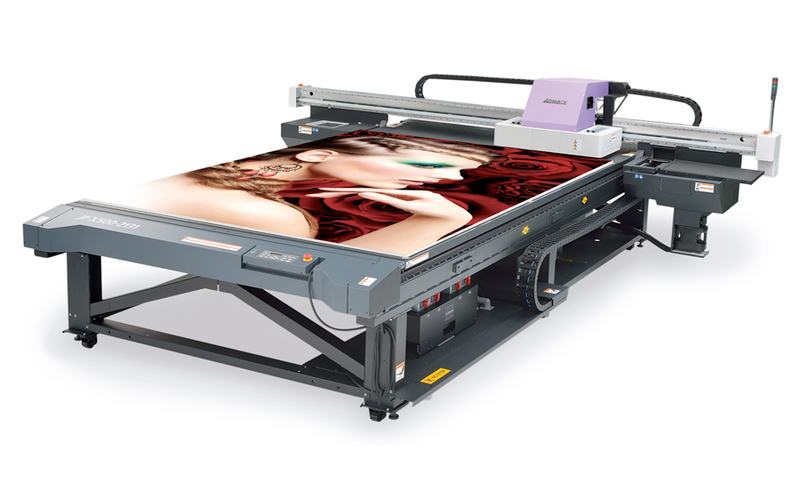 The JFX500-2131 also operates with Mimaki’s LH-100 inks. 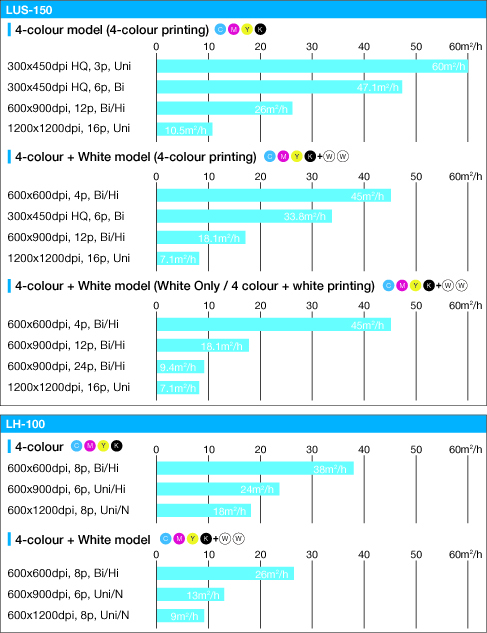 The LH-100 ink offers higher scratch and chemical resistance as well as colour reproduction. Print outstandingly colourful, bright images on transparent and coloured substrates with white ink under or overprint without slowing down the print speed. The Mimaki Advanced Pass System (MAPS) effectively reduces bandings with multiple printing passes, using a gradational mask pattern. When this option is selected, UV curing is performed more gradually which diminishes any appearance of banding. Layout Pins for Trouble-Free Media Alignment. The JFX500-2131 is equipped with pins and a scale that simplifies the alignment procedures required in flatbed printing. Simply fix the substrate to layout pins, check placement with the scale, and edit the design data or printer settings accordingly. Mimaki Circulation Technology (MCT) prevents pigment sedimentation of white ink, reducing ink waste.